Judd winced as he watched Henry flinch. Judd had moved his bulky body so he was practically on top of Henry, but the reaction dismayed him. “Right. Good. Let’s see.” Judd moved in close again. 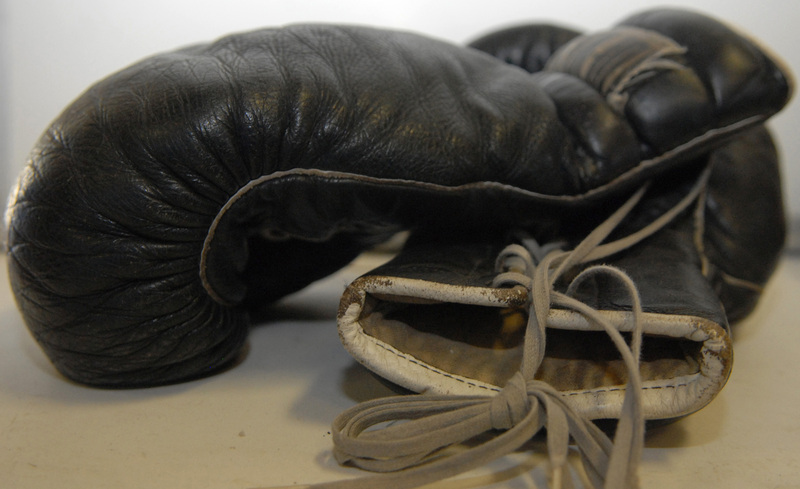 Henry let his boxing gloved fist fly, grazing Judd’s ear. Judd let out a frustrated sigh and stepped away. Henry’s reluctance showed in the slow way he walked toward the stool against the basement wall. “I’m no good at this,” he said sitting down, eyes downcast. But Judd noticed something change in Henry. Instead of continuing the pugilistic lesson, his son pulled off the boxing gloves one by one and tossed them haphazardly on the floor. Henry thought for a moment, then shook his head sadly. Reluctantly, Henry walked toward the discarded gloves. He began slowly pulling them back onto his hands. A tense silence descended upon Judd. Henry deposited his gloves back on the floor, laying them down gently this time. He watched expectantly, but Judd couldn’t bring himself to speak.